Prenatal Care is just as vital as postnatal care in producing healthy and happy babies. 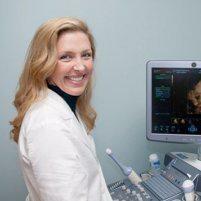 Dr. Caroline Colin, a Santa Monica, CA area OB/GYN, provides expertise in prenatal care, helping moms and babies feel safe and secure. What Does Prenatal Care Encompass? Prenatal care encompasses all of the health care that a pregnant woman receives during her pregnancy. This type of care is essential in keeping both mother and baby healthy. Ideally, prenatal care will begin very early in the pregnancy and will continue until the baby is born. Why Is Prenatal Care so Important? Women who don't have prenatal care are far more likely to have low birth weight babies. Babies born to mothers who didn't have prenatal care also have an increased risk of death. When a woman sees the OB/GYN regularly throughout her pregnancy, health issues can be identified early, which allows for prompt treatment and resolution. Prenatal appointments are also an important chance for learning, as this is the time when the expectant mother and the OB/GYN can discuss all the ways that the mom can give the developing baby the best start in life. What Should Pregnant Women Eat? Pregnant women need to eat healthy, now more than ever. The OB/GYN will often prescribe a multivitamin or a prenatal vitamin that contains a high amount of folic acid. This will help supplement the vitamin and folic acid intake from foods. A balanced diet that contains plenty of fruits, veggies, whole grain foods, and foods rich in calcium is important. Pregnant women should generally stick to a diet that is low in saturated fats. As always, staying hydrated is important, so drink plenty of water throughout the day. Certain foods may be restricted or eliminated during pregnancy; for example, fish that is high in mercury levels can be dangerous for pregnant women. Weight gain will be closely monitored during pregnancy, so sticking to the healthy diet is important. The OB/GYN will provide each patient with specific guidelines that can help them create a healthy diet for themselves and their baby. We accept most major PPO insurance plans. We are not contracted with HMO, Medicare/Medi-cal, or Blue Shield Individual PPO insurance plans. Patients are responsible for deductibles, copays, and out of network expenses. Co-payments are due at the time of service. We accept major credit cards, checks and cash. "Dr. Colin was incredible in the labor room and because of her I now have my wonderful daughter." "When I arrived I didn't have to wait long at all and Dr. Colin was absolutely amazing. I didn't feel rushed at all." "I can't wait to come to her for our 2nd baby. I can't say enough great things about Dr. Colin." "I feel so fortunate that we found her, because I could not imagine going through my pregnancy and birth experience without Dr. Colin." "I can't recommend Dr. Colin enough. I was lucky to work and live near her offices, but she is a doctor worth traveling for." "She is matter of fact, but knowledgable and makes you feel at ease and comfortable in the MOST uncomfortable situations." "THE BEST! Dr. Colin is so friendly, professional and sincere."